Nuclear fusion is the thing that could save the energy economy. It smashes atoms together at high temperatures and creates new particles in a reaction that emits massive amounts of emission-less, radiation-less energy. Numerous companies have tried for over 60 years to crack this code. Lockheed Martin announced that it is hot on the trail of nuclear fusion and that is has made a technological breakthrough in developing a power source based on nuclear fusion. 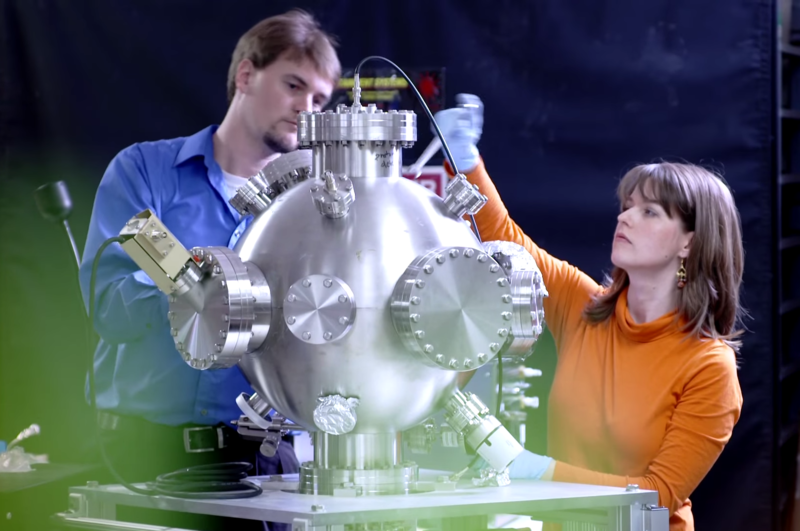 The Lockheed Martin Skunk Works® team is currently working on a new compact fusion reactor (CFR) and hopes to have the first prototype ready in five years. According to the company’s announcement, the first reactors that will be small enough to fit onto the back of a truck could be ready in a decade. “Our compact fusion concept combines several alternative magnetic confinement approaches, taking the best parts of each, and offers a 90 percent size reduction over previous concepts. The smaller size will allow us to design, build and test the CFR in less than a year,” said Tom McGuire, compact fusion lead for the Skunk Works’ Revolutionary Technology Programs. The team will be searching for partners to assist with the development of this breakthrough technology.